A newspaper was entitled to re-publish information and pictures posted on to a publicly available Facebook page by a grieving father, the Independent Press Standards Organisation has held. 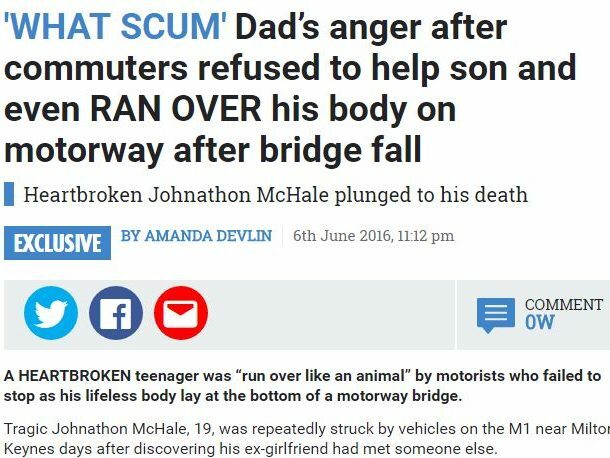 It rejected complaints from John McHale that a Sun story published on June 6 under the headline “‘What scum’: Dad’s anger after commuters refused to help son and even ran over his body on motorway after bridge fall”, breached Clauses 1, 2, 4 and 10 of the Editors’ Code of Practice, covering accuracy, privacy, intrusion into grief or shock, and clandestine devices and subterfuge. The article, described as an “exclusive” report, said McHale’s son took his own life, having fallen from a bridge over the motorway “after discovering his girlfriend had met someone else”. It said that his body was repeatedly struck by vehicles, when motorists failed to stop. The article reported that McHale was “disgusted” by the motorists, and included a number of comments attributed to him. It also included a number of photographs of McHale and his son, as well as a link to a page set up by the family on a crowdfunding website, to raise money to buy a bench in his memory. McHale said the article was not an “exclusive” report – he had not given the publication permission to publish it, and the photographs and comments attributed to him were taken from his Facebook page without his permission. The article also misrepresented some of his comments – he had not posted “a single word” when hearing of his son’s death, but had posted a number of expletives followed by the word attributed to him. There was also no evidence to prove that his son was dead before he was struck by the first vehicle, or that he had been alone and had jumped from the bridge, McHale said. It was also inaccurate for the article to suggest that police notified him of his son’s death – police had found a body, but he only discovered that it was that of his son through a message on Facebook. It was also inaccurate to report that his son had died on 8 January – while this was recorded officially as his date of death, he had in fact died on 7 January, he said. It not entirely accurate to say his son’s girlfriend had “met someone else” – this did not reflect exactly what had happened, said McHale, who also complained that the link to the family’s crowdfunding web page included was broken, and did not lead to the correct page. The images, he said, were posted on his Facebook account, and he had not given the newspaper permission to use these. He was also concerned that he was contacted by a journalist, and that the manner in which the approach had been handled was insensitive. The newspaper said that while it was sorry that the link to the family’s crowdfunding page was broken, the mistake would not have prevented those who genuinely wished to donate from doing so: it had genuinely wanted to help with the family’s fundraising efforts, and the article included enough details for such readers to have found the page by themselves. They could also have contacted it directly for help. In addition, the link was fixed very shortly after the issue was drawn to its attention, and only four days after the article was published. 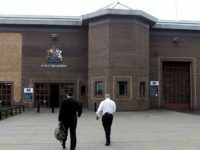 It accurately reported the circumstances of the complainant’s son’s death, based on the findings of the inquest, the newspaper said. McHale had posted all of the comments and pictures on his open Facebook page – he shared what had happened publicly, and the comments and images were already in the public domain, so re-publishing them in the article did not represent a breach of the Code. A journalist had contacted McHale once, and did so in sensitive, and polite terms, it said, adding that it also took the view that it had dealt sensitively with McHale at all times in response to the complaints he raised with it directly. Ipso’s complaints committee said it understood McHale’s concern about importance of accurately reporting specific details relating to the circumstances of his son’s death. But it was not in dispute that the death was recorded as a suicide, that McHale’s son fell on to the motorway and then died, and that there was a breakdown in the relationship between him and his ex-girlfriend. In these circumstances, and in the context of an article which focused on McHale’s reaction, the article did not give a significantly misleading impression of the circumstances surrounding his son’s death. 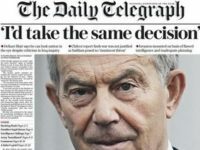 Neither was there a breach of Clause 1 in relation to reporting the date of his son’s death, given that the alleged discrepancy was one day, and in circumstances where it was accepted that the date of the death was officially recorded as 8 January, the date reported by the newspaper. While the Committee understood McHale’s position that he was not interviewed before publication, it was not significantly misleading to bill the article as an “exclusive”. This was not central to the coverage, and in the context of an article which accurately reported the official findings of the circumstances surrounding the complainant’s son’s death, did not represent a significant inaccuracy, or suggest that he cooperated with the newspaper in producing the article. Neither did the reference to McHale having posted a “single word” on Facebook, or that he found out about the death from the police. The article made clear that McHale posted a short message on social media to express his distress once he found out about his son’s death, and the exact contents of the rest of the message, or the exact way in which the complainant had found out about the death were not significant details in the context of the article. On the broken link to the family’s crowdfunding web page, the committee said the link was at the foot of the article, which set out that MrMcHale and his family wished to raise money to buy a bench in the son’s memory. While the mistake was regrettable, it did not constitute a significant inaccuracy. The committee welcomed the steps the newspaper took to ensure that the link was fixed once the issue was drawn to its attention. On McHale’s concern about the journalist’s contact prior to publication, and his position that the manner in which the direct complaint to the publication had been handled was insensitive, the committee said the publication had shown that its contact was polite and sympathetic, and that it had acknowledged that McHale was going through a very difficult time. The journalist’s approach – and the direct contact between the publication and McHale – were handled sensitively and appropriately. The comments and photographs included in the article had been taken from McHale’s Facebook page, which he did not dispute was open and could be viewed publicly at the time of publication. He publicly disclosed this information, and was prepared to publish publicly viewable posts on social media about the death, including pictures of his family. In such circumstances, the Committee did not consider that republishing the posts and photographs in the article represented an unjustified intrusion into his private life. While not a breach of the code, surely taking photos from Facebook without consent is a breach of copyright?